Now, we all know boys love their toys and lets face it, we already know its always about the bride but what if you could book your boys muscle cars and your vintage wedding cars all with the same company! How convenient. 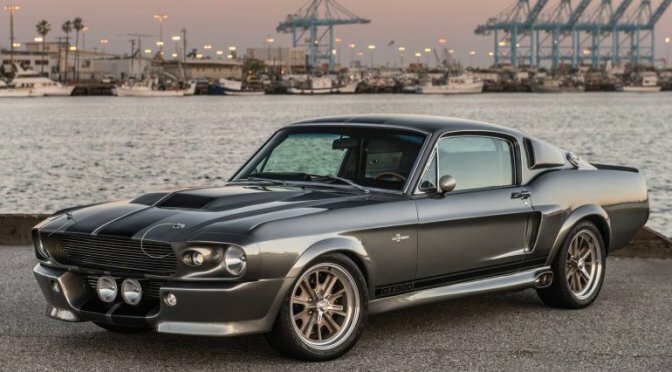 Just added to our fleet is our Mustang Eleanor GT500 in Pepper Grey (the exact same model as the main car in the movie Gone in 60 Seconds) and our Dodge Charger RT 1969 in F6 Green and let me tell you they turn heads! These cars are completely restored to a very high standard and they were handpicked! We have been searching a long time for these particular wedding cars and there are only a few of them in Sydney, making them rare and special! They are the perfect boys muscle car we can offer you a 2 hour minimum on these cars so your groom can hire them for their pick up at home, take some cool photos with them and have them for their arrival to the ceremony and then leave so your groom and groomsmen can travel in our classic Jaguar Sedans, Rolls Royce Sedans, Rolls Royce Convertibles and Rolls Royce Limousines after the ceremony along with the bride and bridesmaids. Our Two Tone Silver Rolls Royce Limousine will match perfectly with the Mustang Eleanor because the colours of the wedding cars match so well. If your boys need cars its so much more convenient doing it all through the same company also, there is one point of contact and no having to deal with different wedding car hire companies to get everything you want, its all in the same place! Another highlight is that you will have uniformed drivers with these vehicles too! So if they get caught in the background of your photos they will look clean, tidy and professional! Hiring wedding cars in Sydney is a hard choice! With many classic wedding cars around and many muscle cars around it can become overwhelming however always meet with your vendors if you can, read reviews and check out the wedding cars if you can! This will put your mind at ease and make the decision process all much easier!